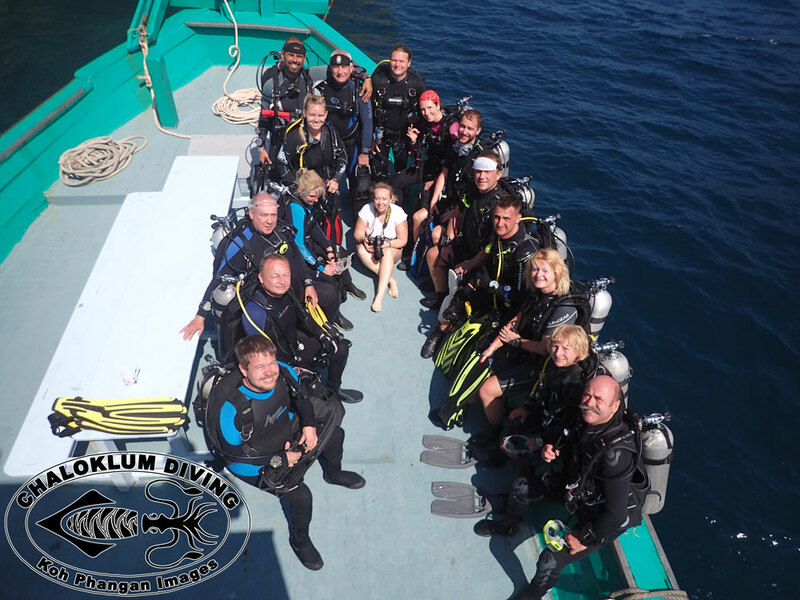 We’ve just had a really fine week of diving in the Gulf of Thailand – 6 days of dive trips to 5 different destinations – with good visibility, calm seas and hot, sunny days. After this January’s weather and conditions we were having some problems remembering how it’s meant to be – SCUBA diving on the paradise island of Koh Phangan! Anyway Jan and his team of divers have already moved on to experience the delights of Khao Sok National Park – we wish them a great time, with thanks once again for diving with us. Most of the dive guiding team are enjoying a few quiet days at the moment, but Michi still continues with a steady sequence of PADI Open Water Diver courses for his German students. Thanks to Divemaster Chris who, as well as working hard with our fun divers, managed to take a fine set of underwater photos over the last days – there will be a wee album on Facebook soon with 1 or 2 more nice images. And all of us at the dive centre are looking forward to the return in a week or so of our diving friends/supporters Angie and Heinz – can we go to Samran Pinnacles this time, please ? !